Masses are celebrated daily with a special intention of a donor. 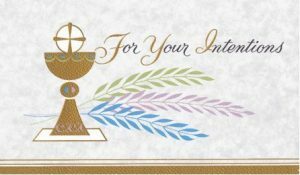 If you wish to have a mass celebrated for a special intention, please come to the Parish Office for arrangements of dates and times or call us at 847-658-7625. 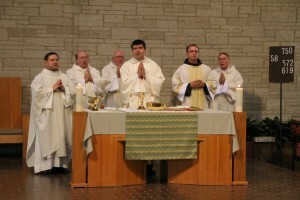 The donation for each mass to be celebrated is $10.00.